6th Form students take part in Mathematical Events. 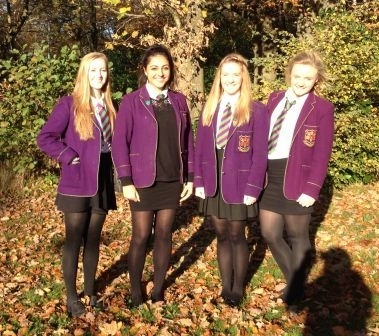 6th Form Students Stephanie Leaver, Deena Mahmood, Rebecca Wignall and Sarah Wilkinson represented Westholme in the UKMT Senior Team Mathematics Challenge Regional Final at Lancaster University. This competition combined mathematical, communication and teamwork skills, offering another way to develop student’s problem solving skills and enjoyment of Mathematics. Teams from all over Lancashire and Cumbria competed in the competition. This year saw the most challenging questions in years, with many teams struggling to get started in the crossnumber round. The team were a credit to Westholme, scoring highly in this round and finishing 16th place overall. Also this month, fifteen sixth formers attended a series of Mathematical lectures at the Royal Northern College of Music in Manchester. The lectures were given by leading keynote speakers in Mathematics and Science. It was an enjoyable, educational and inspirational day!